A woman accused Maj. Gen. Uri Sagi of a sexual offense that allegedly took place 39 years ago. Hours after Major General (res.) Uri Sagi announced he was pulling out of the race for a seat in Labor's Knesset list "for health and family related reasons," the apparent reason for the move has become known. According to Channel 2, a woman accused Sagi of an unspecified sexual offense he allegedly committed against her decades ago. 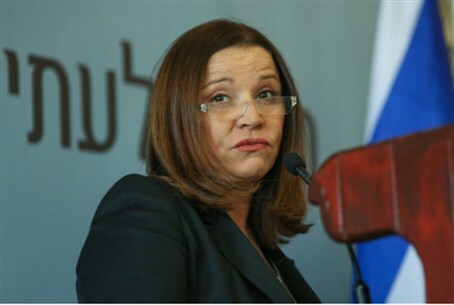 The woman complained to Labor head MK Shelly Yechimovich, who summoned Sagi for a talk. Following this conversation, Sagi announced he was leaving the race. Sagi said: "Today I found out, to my disappointment, that I have to deal with accusations and anonymous mudslinging, the meaning of which I have not been made privy to until now, other than the fact that the event allegedly took place 39 years ago." "Even though these things have no legal or public validity," he added, "it is clear to me that having to deal with them might negatively affect my health and that of my family. The announcement regarding my retirement was meant to avoid this, among other things." MK Yechimovich, who grew up in a communist household and admitted to voting for the communist party in 1996, is a leader of the so-called "feminist" movement in Israel, which has been identified as a neo-Marxist political stream. In the past, she has used allegations of sexual harassment charges to publicly threaten a prominent rabbi who announced his intention to run for the office of president, causing him to shelve his plans. As a Knesset member, she was also instrumental in publicizing the charges made by a woman against former president Moshe Katzav, launching an investigation which eventually led to his trial and incarceration. She met the woman and announced in the press that she is certain that she was raped by Katzav. The prosecution eventually threw out the woman's testimony as unreliable.